Michael Pace pleaded guilty in the fatal shooting of 16-year-old Blair Holt on a CTA bus after school in 2007. 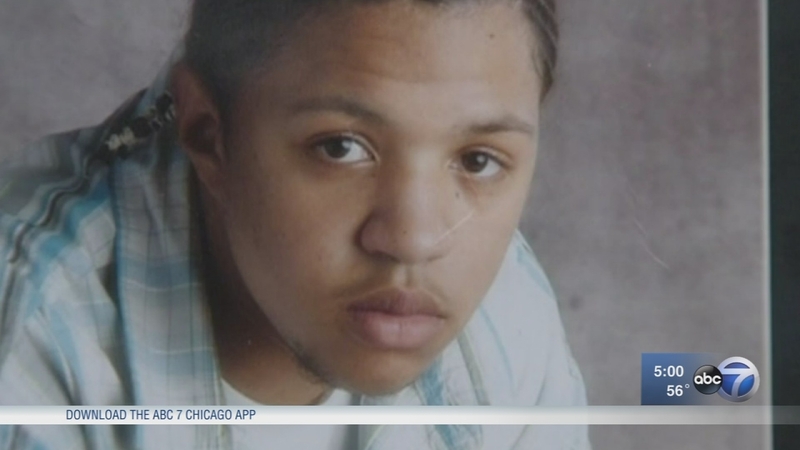 CHICAGO (WLS) -- A re-sentencing hearing was held Wednesday for Michael Pace, who was convicted in the 2007 CTA bus shooting that killed Chicago 16-year-old Blair Holt. Pace was convicted in 2009, but an appeals court ruled that Pace must be re-sentenced because of comments that judge made during his initial sentencing. On Wednesday, Holt's parents read victim impact statements for the second time. "Nothing has changed you are just a murderer trying to use to system for his advantage," Blair's mother, Annette Nance-Holt, said in court. Father Ron Holt said: "Being here is a revisit of the wound that never heals." Ten years after 16-year-old Blair Holt was shot on a CTA bus, students who didn't even know him know what happened to him. Blair Holt was shielding a friend on the bus when the shooting occurred. Pace was seen on video and identified by witnesses as the gunman. At the time, Pace was 16 but charged as an adult. Pace pleaded guilty and was sentenced to 100 years in prison in 2009. Holt's parents told the judge they hoped Pace would be re-sentenced to 100 years. Since his conviction, a new law went into effect that can shorten sentences for convicts who were juveniles at the time of their offenses. Pace told the judge: "I want to take this opportunity to express my regret." Defense attorneys called witnesses who discussed Pace's neglectful and abusive upbringing, as well as his behavior and learning disabilities. "He knew what he was going to do with that handgun and he didn't care who was on that bus," said retired CPD Det. Neil Maas, who testified on Wednesday during the hearing. Maas, who investigated the murder, said: "I don't think any victim should have to go through this again." "Don't think we should be here again today, re-living what happened to us 10 years ago," Nance-Holt said. "It's already difficult enough to keep going on in life and we were just starting to get back to some sense of trying to live life again." A judge is expected to issue a new sentence on Jan. 8.